Fisher Body Plant. Detroit, Michigan. 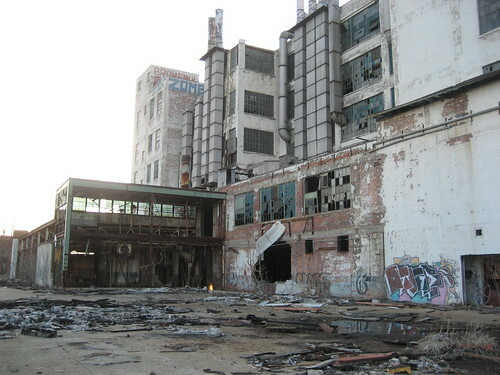 Fisher Body Plant, a photo by dreaming_of_rivers on Flickr. Congress must act immediately to provide billions in funding to take action against Syria. The well-being of the US is in danger. This is the most critical problem facing our nation. We simply have to provide the funds to intervene in Syria, just as we have done in Afghanistan and Iraq. And the American People must be wiling to make sacrifices so that our freedom and way of life can remain triumphant around the world. The photo and words speak volumes. At least the Plant in Van Nuys looks better than this. We have to redirect our priorities. Thank you Nancy for appreciating my caustic sarcasm. And you are quite right.